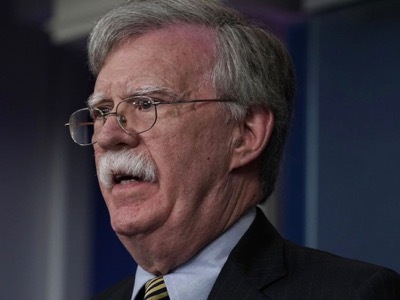 Speaking before the anti-Castro community at Miami Dade College, John Bolton denounced « This tyrannical troïka, spreading from Havana to Caracas via Managua, [which] is the cause of immense human suffering, the motor for huge regional instability, and the genesis of a squalid nest of Communism in the Western hemisphere ». Working from several previous analyses, we concluded that the destabilisation of Venezuela – beginning with the guarimbas movement, continued by the attempted coup d’etat of February 2015 (Operation Jericho) , then by attacks on the national currency and the organisation of emigration – would end with military operations  led from Brazil, Colombia and Guyana. Multinational manoeuvres of troop transport were organised by the United States and their allies in August 2017 . 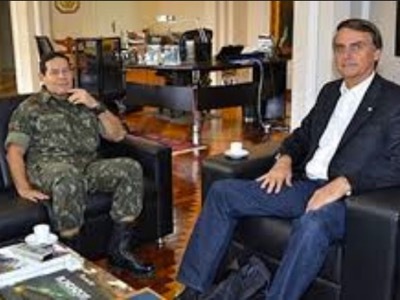 This was made possible by the election of pro-Israëli President Jair Bolsonaro, who will come to power in Brasilia on 1 January 2019. 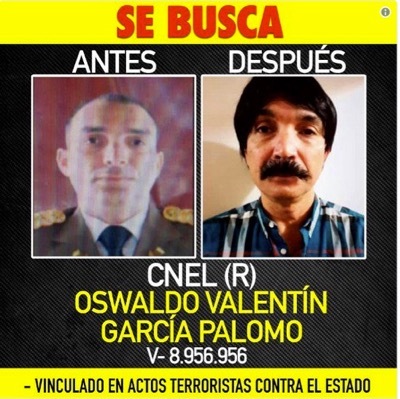 Wanted notice for Colonel Oswaldo Valentín García Palomo of the Venezuelan National Guard, after he had commanded an attempted assassination of the President of the Bolivarian Republic. « Plan to overthrow the Venezuelan Dictatorship – “Masterstroke” », Admiral Kurt W. Tidd, Voltaire Network, 23 février 2018. “The United States “Master Stroke” against Venezuela”, by Stella Calloni, Translation Pete Kimberley, Voltaire Network, 17 May 2018. “Obama failed his coup in Venezuela”, by Thierry Meyssan, Translation Roger Lagassé, Voltaire Network, 24 February 2015. “General Jacinto Perez Arcay considers the invasion of Venezuela “inevitable””, Translation Roger Lagassé, Voltaire Network, 12 June 2016. “Large-scale manoeuvres encircling Venezuela”, by Manlio Dinucci, Translation Anoosha Boralessa, Il Manifesto (Italy) , Voltaire Network, 23 August 2017. “Venezuela, an impossible intervention”, by Julio Yao Villalaz, Translation Anoosha Boralessa, Voltaire Network, 3 March 2018.